Soak the chickpeas overnight with baking soda (as an alkali, it helps to break down and tenderize the legume). Or, quick soak by pouring 6 cups boiling water over the chickpeas and baking soda, and let stand at least 1 hour. Drain chickpeas well and place in a food processor with remaining falafel ingredients, except the olive oil. Pulse into a very finely chopped mixture that looks like thick sand. Chill at least 1 hour then form firm 6 patties that are 4 to 5 inches in diameter. Combine garlic and lemon juice in a high-power blender or food processor and purée to smooth. Add tahini, cumin and salt and pureé. Thin sauce with a little-bottled water as necessary, the sauce should be thick enough to coat the back of a spoon. Coat a large skillet with a thin layer of olive oil and heat over medium-high heat. Add patties and cook to brown, 3-4 minutes. Turn, cook another 2-3 minutes then top with cheese to melt under a loose foil tent. 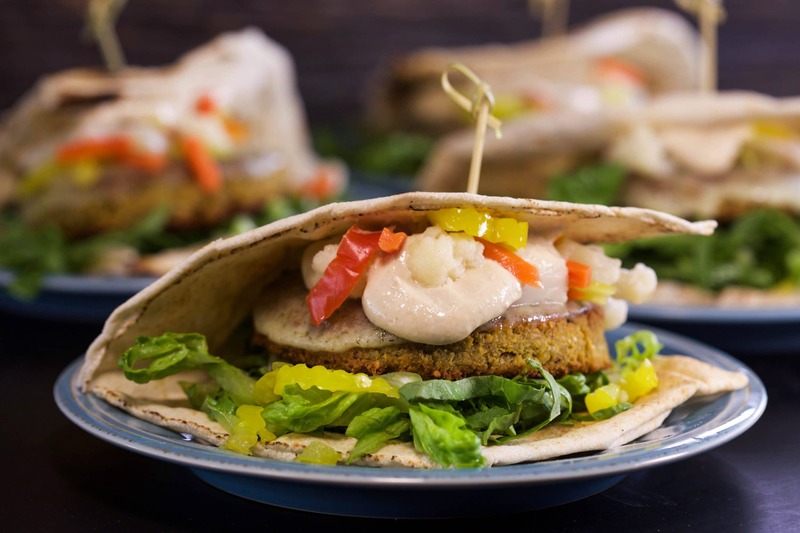 Take a large, half-moon shaped pita and pile a little lettuce, hot veggies and tahini sauce on half then top with patty melt and fold pita over top. In Recipes-list.com we have selected the most viewed recipes from category - uncategorized . Enjoy the best recipes specially selected for you! Ultimate Falafel Patty Melts is the right choice that will satisfy all your claims.